WBAF has five running spaces in this year’s Royal Parks, which is being held in and around London’s Royal Parks this October, and we are looking for enthusiasts to fill these spaces. 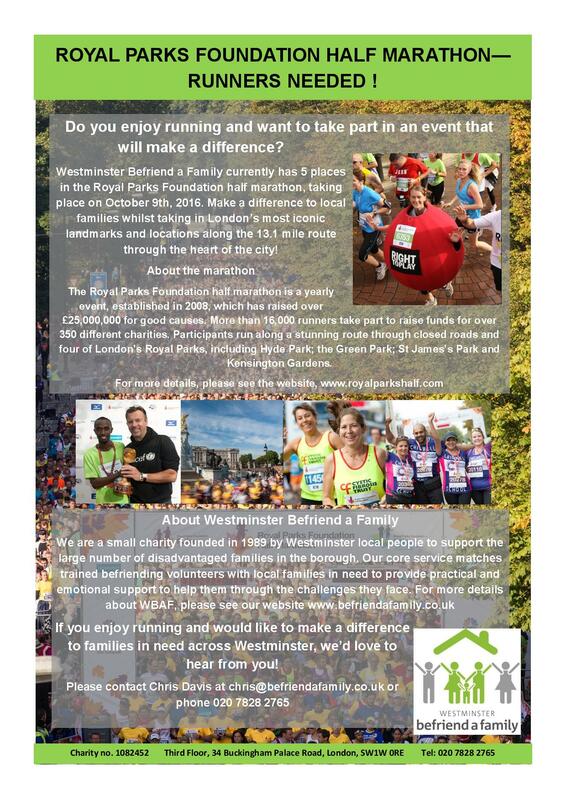 If you enjoy running and would like to make a difference to disadvantaged families in Westminster, let us know! Please email Chris Davis on chris@befriendafamily.co.uk or call 0207 828 2765 for more information or to apply.